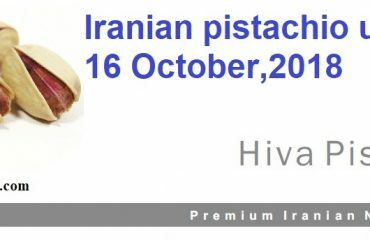 Origin of pistachios in Iran goes back to more than 2500 years ago when Achaemenid Empire ruled our country. Historical evidences indicate that wild (self-growing) pistachios of that period were gradually turned into cultivated one. Considering the fact that cultivation tools at that period of history were pretty much primitive, Persian pistachio growers did an outstanding job of preserving it. 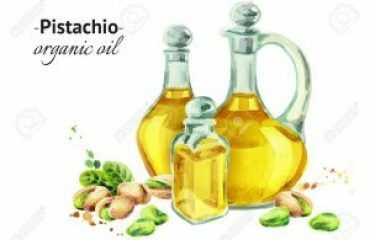 The English word pistachio is driven from pistaco which is an old Persian name. With some variations, similar names are integrated in Greek, Spanish, Arabic, Turkish, Russian, Japanese and European languages. Due to its aroma and vivid color while on the tree, pistachio symbolizes hope and happiness in Iranian literature and culture. Furthermore, it is known as the smiling nut. Chinese people call it happy nut. Some people in The Middle East sit under pistachio trees and wait to hear a cracking sound coming from nuts. They believe this sound is a good omen and will bring them happiness. and water shortfalls. Its tree is second to date palm in terms of resistance to salty soil. 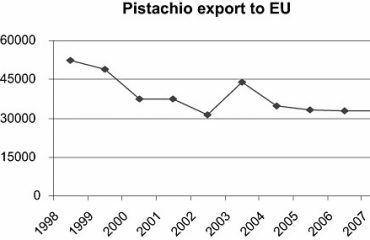 In recent years pistachio marketing has developed and expanded considerably. From snack to cookie to cake to chocolate to ice cream and many other areas you can find traces of pistachio almost everywhere. In general, pistachios could be divided in two kinds of round and long. As a result, the opening of the mouth in the round pistachio is normally shorter than the long one. Long pistachios: Badami, Ahmad Aghaee and Akbari. Round pistachios: Fandoghi and Kaleh Ghouchi. Some pistachios could be harvested earlier than the others. Early harvest is around mid-August and late harvest is around early October.